[Fallout 3]Fallout 3 what is this new game?? 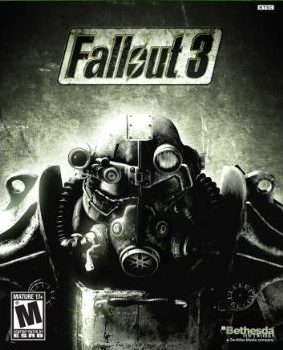 Initial previews of Fallout 3 revealed that the game will feature both first-person and third-person perspectives, and that the player can change to either perspective during gameplay. Main character creation occurs as the player experiences the character's childhood. The character's mother dies in labour in the Vault 101 hospital, immediately after which the player decides the character's general appearance through a DNA analysis conducted by the father. Afterwards, the father removes his surgeon's mask to reveal a face similar to the one chosen by the player for the character. As a child in the Vault, the character receives a book titled "You're SPECIAL," whereupon the player can set the character's seven primary aptitudes. The character receives weapons training and a PIP-Boy 3000 later on during childhood, and the player's performance in various tests determines the rest of the attributes. Additionally, several quests inside the Vault will be able to influence the player character's relationship with his or her father. Skills and Perks are similar to those in previous games: the player chooses three Tag Skills out of a total of 14 to be the character's specialties. The maximum level the player can achieve is level 20. The Traits from the previous Fallout installments were combined with Perks in Fallout 3, and the player can choose a new Perk each time after gaining a level. The Vault-Tec Assisted Targeting System, or VATS, will play an important part in the fighting phases of the game. While using VATS, real-time combat is paused creating a combat system that the Bethesda developers have described as a hybrid between turn-based and real-time combat. Various actions cost action points, limiting the actions of each combatant during a turn, and both the player and enemies can target specific body areas for attacks to inflict specific injuries. The game will feature a new health and radiation system as well. The player can measure an object's radioactivity and gauge the effect it will have on the character. Another facet of gameplay is that firearms wear out over time: as a weapon degenerates, its rate of fire slows and it loses accuracy. However, worn out firearms can be combined to make more reliable and powerful weapons. Weapon schematics can also be found and used to create various devices such as the Rock-it Launcher, created by combining a leaf blower and a wood chipper, that can fire various items such as lunchboxes and stuffed animals, or the Clever Shrapnel Bomb, made out of a Vault-Tec lunchbox and bottlecaps. Along with equipping various weapons, the player can also utilize different armors and clothing that may have effects that can alter various skills. For example, a pair of mechanic's coveralls may boost the player's repair skill while it is worn. Armor and clothing come in two main parts for the head and body, allowing a player to wear different combinations of hats and armor. Also, a player's inventory has a specified weight limit, preventing a player from carrying too many items. Some items like weapon ammo have no weight, due to the developer not wishing to bog down inventory management. The player will have a maximum party of three, consisting of himself/herself, Dogmeat, and a single NPC. In addition to having Dogmeat in your party you will be able to send him out on his own to search for items such as arms and ammo, radiation medicine, and stimpacks. Dogmeat can be killed during the game if the player misuses him or places him in a severely dangerous situation and he cannot be replaced. Only one NPC can travel with the player at any time, and in order to get another NPC to travel, the first one must be dismissed by the player. A karma system will be an important feature in the gameplay. The player's actions, including conversation and combat choices, will affect the player's status in the game world; a player who makes good choices will be received more positively by NPCs, and a player that makes bad choices will have the opposite reaction. Crimes can also be committed by a player, and whichever faction or group that is harmed by a crime will be fully aware of the player's action. Other factions that were not affected by the crime will not be aware of it, and since a town is usually its own faction, news of a crime committed in one town will not spread to another. Factions can range in size and boundaries, however, and may not be restricted to a single area. The game world itself is similar in size to that of Oblivion, which has a 16 square mile game world. Re: [Fallout 3]Fallout 3 what is this new game? ?